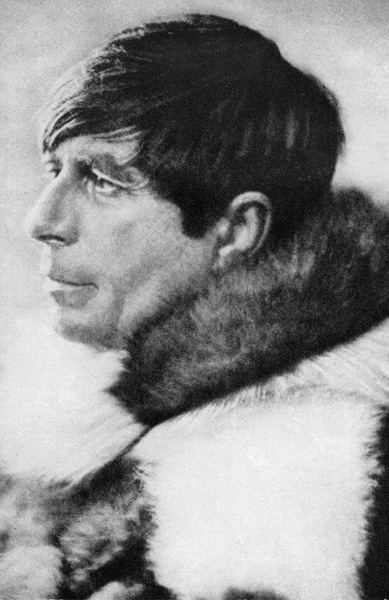 Knud Johan Victor Rasmussen (June 7, 1879 – December 21, 1933) was a Danish polar explorer and anthropologist. He has been called the “father of Eskimology” and was the first European to travel the entire Northwest Passage (across Greenland, Canada, Alaska) via dog sled. 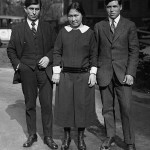 He remains well known in Greenland, Denmark, and among Inuit peoples across the Arctic. Rasmussen was born in Ilulissat, Greenland, the son of a Danish missionary, the vicar Christian Rasmussen, and an Inuit- Danish mother, Louise Rasmussen (née Fleischer). He had two siblings, including a brother, Peter Lim. He was later educated in Lynge, North Zealand, Denmark. Between 1898 and 1900 he pursued an unsuccessful career as an actor and opera singer. 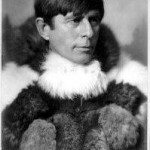 Rasmussen went on his first expedition in 1902–1904, known as The Danish Literary Expedition, with Jørgen Brønlund, Harald Moltke and Ludvig Mylius-Erichsen, to examine Inuit culture. 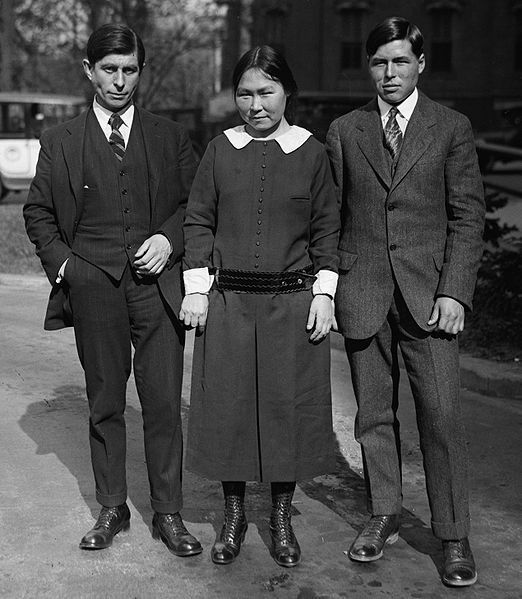 After returning home he went on a lecture circuit and wrote The People of the Polar North (1908), a combination travel journal and scholarly account of Inuit folklore. In 1908, he married Dagmar Andersen. In 1910, Rasmussen and friend Peter Freuchen established the Thule Trading Station at Cape York (Uummannaq), Greenland, as a trading base. 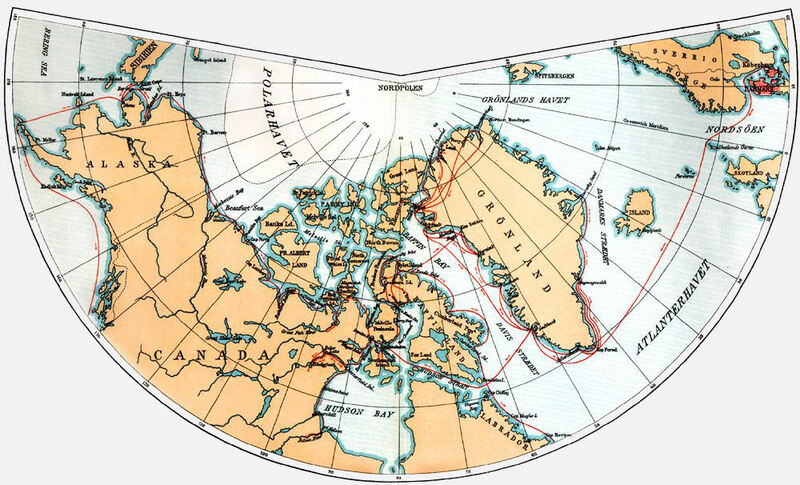 The name Thule was chosen because it was the most northerly trading post in the world, literally the “Ultima Thule.” Thule Trading Station became the home base for a series of seven expeditions, known as the Thule Expeditions, between 1912 and 1933. The First Thule Expedition (1912, Rasmussen & Freuchen) aimed to test Robert Peary’s claim that a channel divided Peary Land from Greenland. They proved this was not the case in a remarkable 1,000-km journey across the inland ice that almost killed them. Clements Markham, president of the Royal Geographic Society, called the journey the “finest ever performed by dogs.” Freuchen wrote personal accounts of this journey (and others) in Vagrant Viking (1953) and I Sailed with Rasmussen (1958). 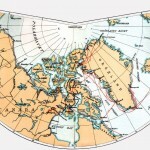 The Second Thule Expedition (1916–1918) was larger with a team of seven men, which set out to map a little known area of Greenland’s north coast. This journey was documented in Rasmussen’s account Greenland by the Polar Sea (1921). The trip was beset with two fatalities, the only in Rasmussen’s career, namely Thorild Wulff and Hendrik Olsen. The Third Thule Expedition (1919) was depot-laying for Roald Amundsen’s polar drift in Maud. 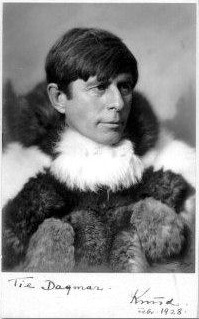 The Fourth Thule Expedition (1919–1920) was in east Greenland where Rasmussen spent several months collecting ethnographic data near Angmagssalik. The Fifth Thule Expedition team of seven traveled 18,000 miles from Greenland to the Pacific, first to eastern Arctic Canada where they began collecting specimens, taking interviews and excavations. Rasmussen left the team and traveled for 16 months with two Inuit hunters by dog-sled across North America to Nome, Alaska – he tried to continue to Russia but his visa was refused. He became the first European to cross the Northwest Passage via dog sled and his journey is recounted in Across Arctic America (1927), considered today a classic of polar expedition literature. This trip has also been called the “Great Sled Journey” and was dramatized in the Canadian film The Journals of Knud Rasmussen (2006). A ten volume account The Fifth Thule Expedition 1921-1924 documented the Eskimos’ spiritual development and culture. Rasmussen managed to gather and bring home more than 15,000 ethnographic, biological data specimens, and archaeological objects, many of which are still on display in museums in Denmark. For the next seven years Rasmussen traveled between Greenland and Denmark giving lectures and writing. 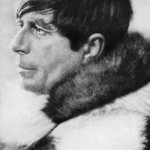 In 1931, he went on the Sixth Thule Expedition, designed to consolidate Denmark’s claim on a portion of eastern Greenland that was contested by Norway. The Seventh Thule Expedition (1933) was meant to continue the work of the sixth, but Rasmussen became seriously ill from food poisoning and had to leave the expedition to receive medical treatment in Qaqortoq. The illness was so severe that the doctor chose to send him to Denmark for treatment where he was hospitalized, but Rasmussen contracted pneumonia and died a few months later, on 21 December 1933, at the age of only 54 years. Knud Rasmussen was laid to rest at a simple ceremony at Western Cemetery in Copenhagen. 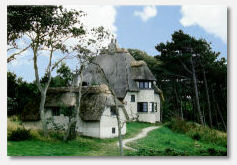 A number of influential people in Knud Rasmussen’s circle of friends took the initiative to preserve the Rasmussen family house in Hundested as a landmark and tribute. They found it natural to put this lasting memorial to the man whose hard work was essential for the Inuit research and helped to secure the whole of Greenland as a Danish colony. 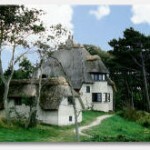 It was where he prepared and completed several of his expeditions and created a substantial part of his literary output. Rasmussen was awarded an Honorary Fellowship from the American Geographical Society in 1912, and its Daly Medal in 1924. He was made honorary doctor at the University of Copenhagen in 1924. 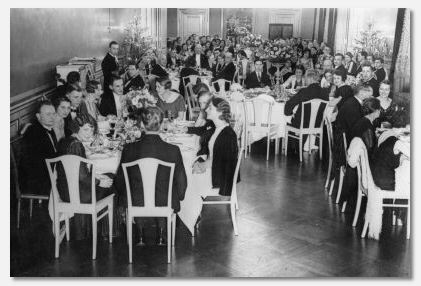 Knud Rasmussen sent out invitations to about 100 of Denmark’s eminent citizens and dignitaries, to attend a dinner at the Palace Hotel in Copenhagen. 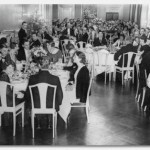 The guests were very honored that a great hero had invited them personally, so everyone showed up. All realized now that the battle was lost. The dinner was paid and a hefty penny was donated to the plans’ realization.